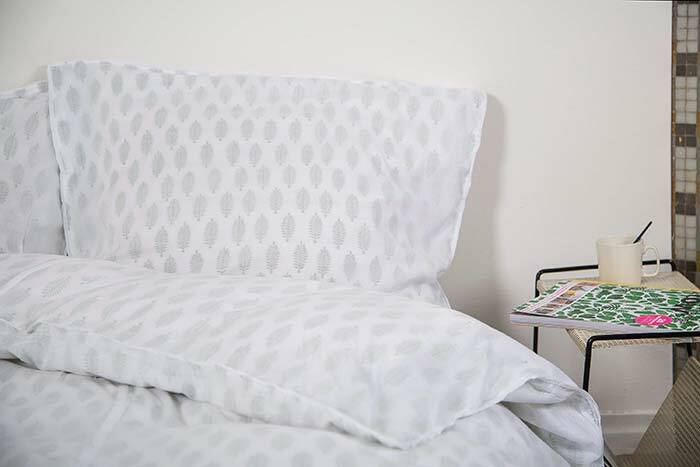 The Khasto bed sheets are ideal for warmer nights. When it is too warm for a blanket or duvet, but you still wish to be covered. The sheets are made of fine woven, breathable cotton, without any synthetic fibers. 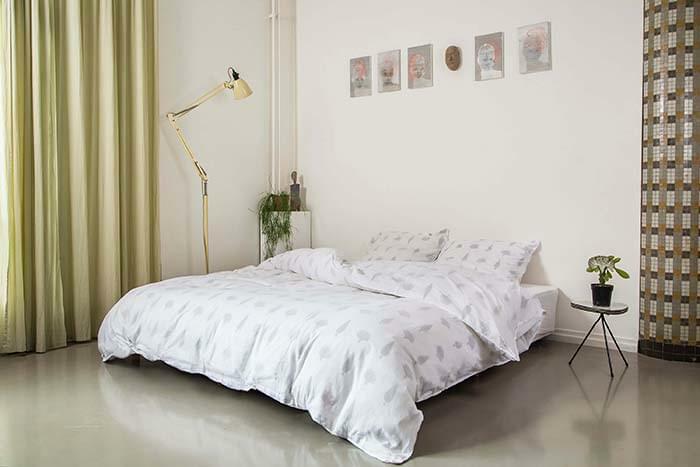 The double sheet is 270 x 270cm (106 x 106 inches), and comes with two pillow cases measuring 70 x 60cm (27 x 23 inches). The single sheet is 170 x 270cm (66 x 106 inches) and comes with one pillowcase measuring 70 x 60cm. Thanks to the veiled effect, Khasto prints look subtle and soft. This precious technique saw itself confronted with the flood of synthetic garments that emerged during the industrialization of textile manufacturing. To preserve this technique, we have created a collection of bedding, nightwear and home-wear. As we strive to always give you high quality products, we also find it important that the makers of our collection work and live under good circumstances. 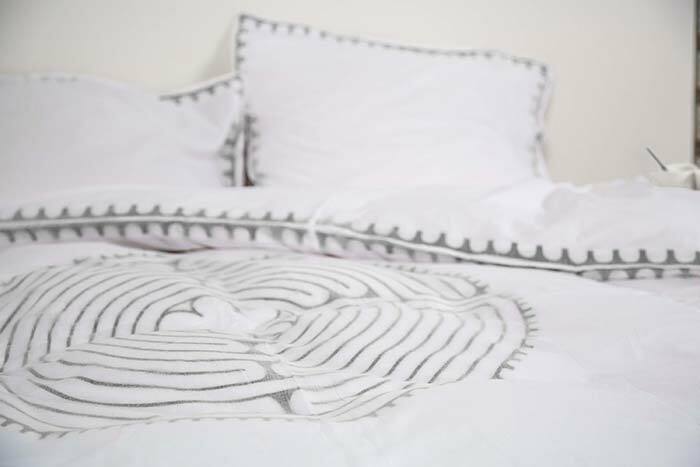 Khasto bedlinen are handmade in India with specialized craftsmen and women. We invest in good working conditions, working times, and more than average salary for the workers. Naturally we guarantee that there is no child labor involved in the manufacture process of Khasto products. Most of our colleagues producing Khasto products are family members who have passed their experience on from generation to generation.